Round 13 of the DAFL saw an upset and a derby as the featured events. The Copenhagen Barracudas triumphed over their capital city rivals, the Giants, whilst the Aalborg Kangaroos upset the top team, the Farum Cats. An eight-goal opening quarter to the scoring end saw the Barracudas set their match up early. A 43-point quarter-time advantage for the Barracudas was clawed back to just 18 points by the main break as the Giants worked themselves back into the battle. However, the Barracudas kicked another eight goals in the third quarter to effectively decide the match, leading by 55 points by the final change. The Giants could not generate any real advantage in the final quarter and despite taking the quarter by two points, they still fell by 53 points. 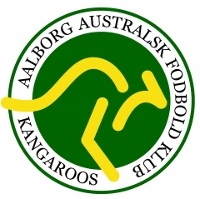 The Alborg Kangaroos inflicted the Farum Cats’ first defeat of the season. Hosting the Cats, the Aalborg team were strong as a unit and would not allow the Cats into the game. The win keeps the Kangaroos right in the finals mix, jumping over the Copenhagen Giants into the top four. Their next assignment is a tough one against the Barracudas – currently in second place – but they are still in the race. After a mid-season break, the DAFL got underway again the previous weekend when the Port Malmö Maulers defeated the Odense Lions by 50 points in Limhamn. The win saw the Maulers strengthen their own place in the top four and consigned the Odense Lions to a likely wooden spoon. With four rounds left to play ahead of the September finals series, all games will matter with all teams except the Lions capable of playing finals. The action resumes next weekend when Copenhagen Giants host the Farum Cats in a must-win clash for both teams. 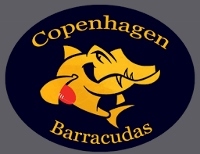 In the other match, the Copenhagen Barracudas will host the Odense Lions.